You already have a good command of one or two kinds of winter sport and know the chill only sun, mountains and powder can bring? 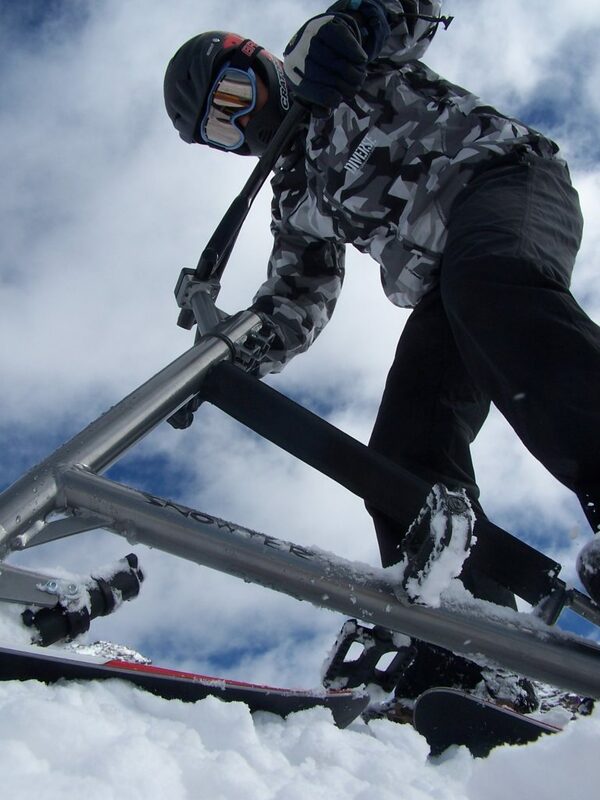 Beginner or crack – the Made in Europe snowter® is a real challenge for everybody. To the top with cable cabin, chair lift or ski tow. 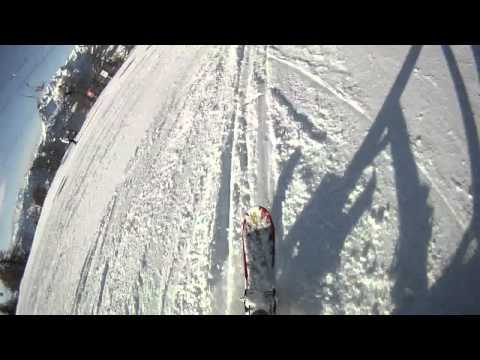 Downhill the ultimate kick: Standing on the snowter® without special equipment (helmet is recommended). 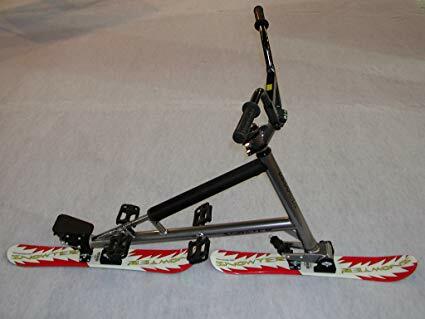 The snowter® can be steered similar to a bike or just be shifting weight from one side to the other.The snowter® offers a new possibility to enjoy winter sports. 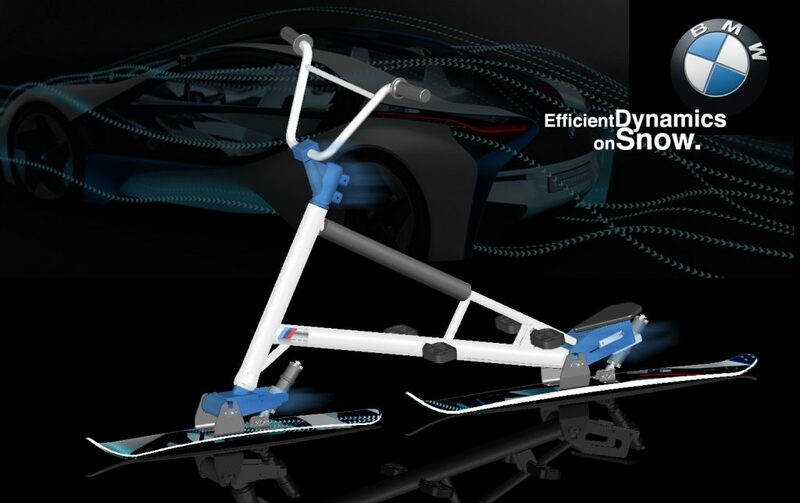 At first sight the snowter® looks like a bike that can be driven on snow. This is maintained by the method of changing direction with a handlebar. 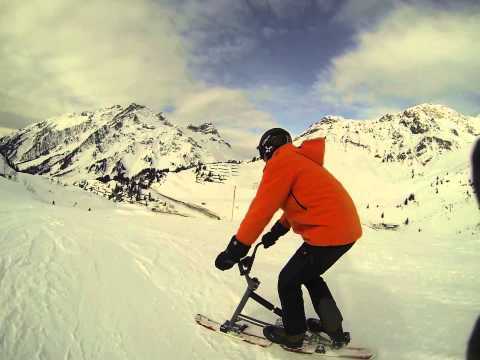 Biking on snow – no: snowting! 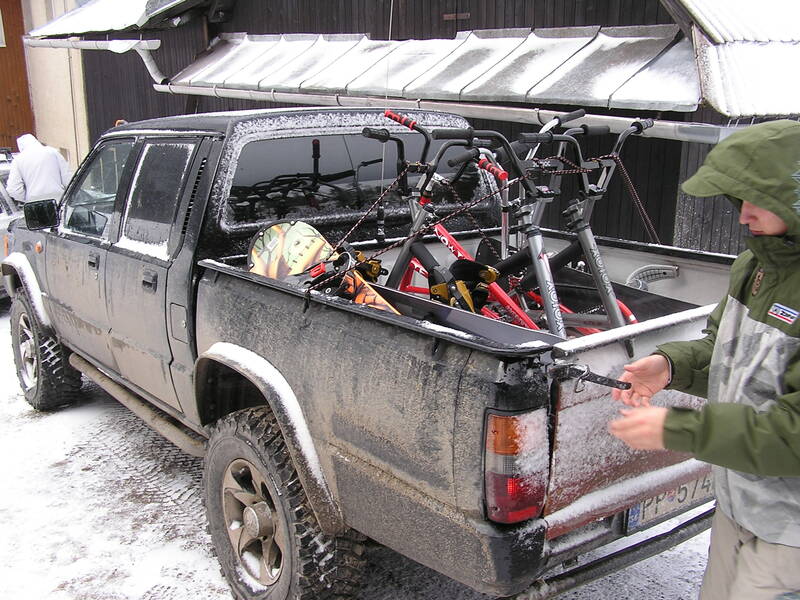 The snowter® starts driving – the beginning is really easy. 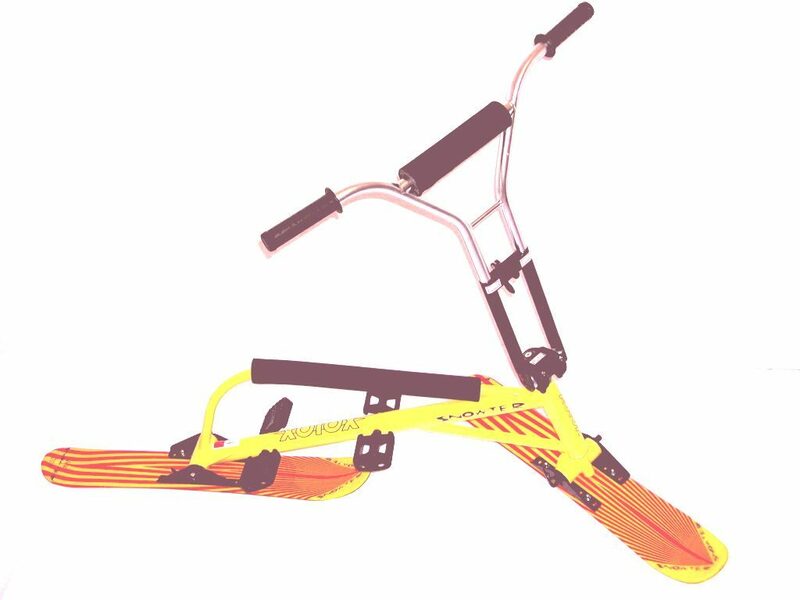 Due to the steering the snowter® stays stable cruising on the snow. Tension comes with higher speed and increasing gradient. 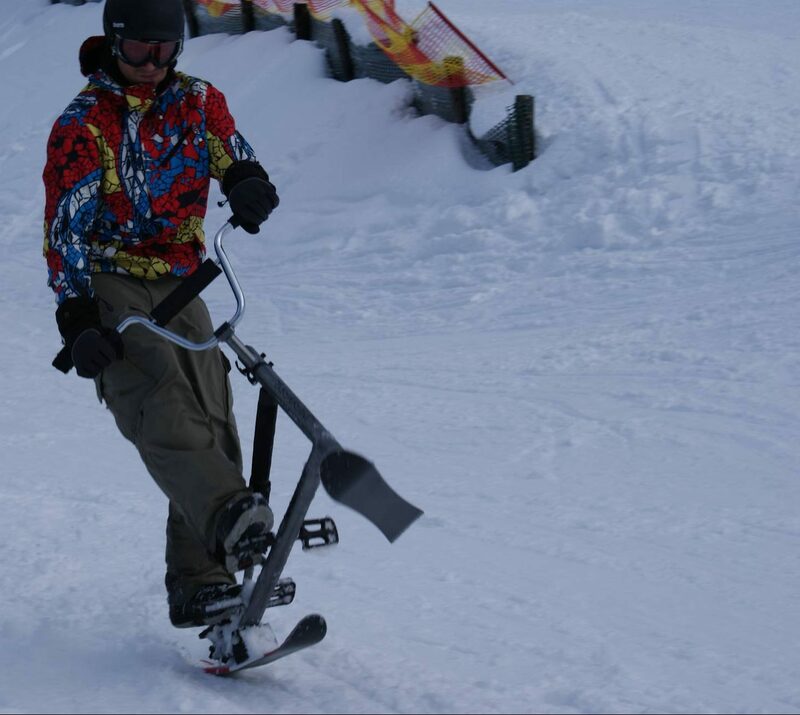 Now the Snowter® shows his real face: the face of a fun sport equipment. 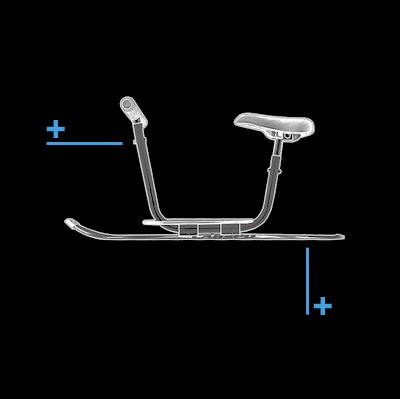 The snowter® has no seat and is driven just standing. 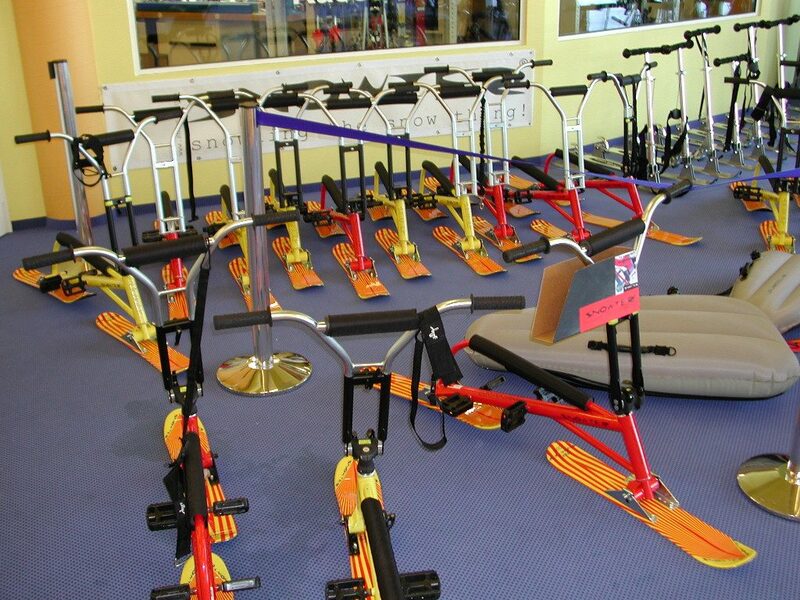 Four pedals offer up to four variations to stand on the snowter®. Steering with the handlebar is no longer suitable. By shiftin weight from one side to the other, the snowter® changes its direction. Edges are pressed into the snow – the snowter® marks its trace – now you are carving. 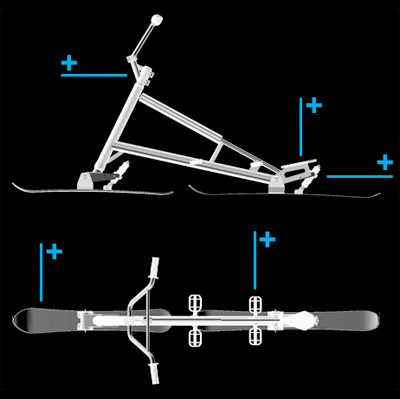 If weight is not brought consequently to the relevant edge, but is shifted to the middle of the device at the end of a curve, the snowter® starts drifting and now must be guided. Carving or drifting, cruising or high-speed. This means snowting. 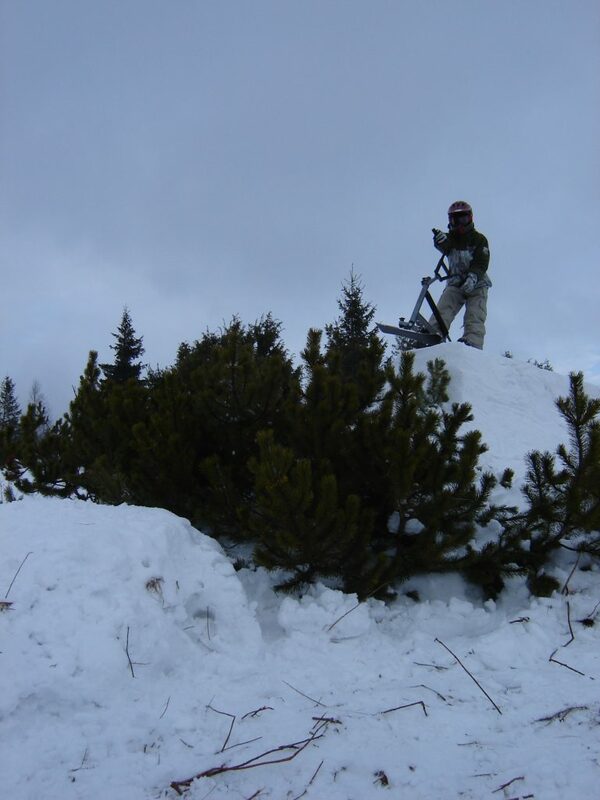 The beginning is easy but to control the snowter® in any situation is an exciting and really challenging thing. 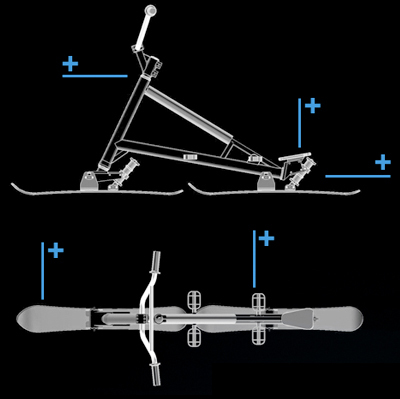 The longer frame design brings more speed and control. 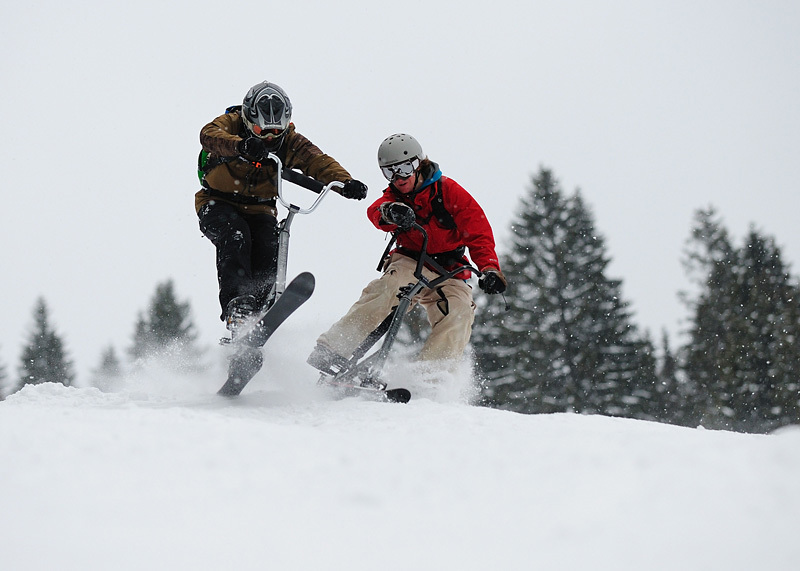 Yes, snowboard or ski is boring compared to this! The shorter frame design brings more agility. Can you imagine to get all advantages of even smaller and better controlled Snowter? If your cup of tea is not just fast racing, this model is perfect for you. 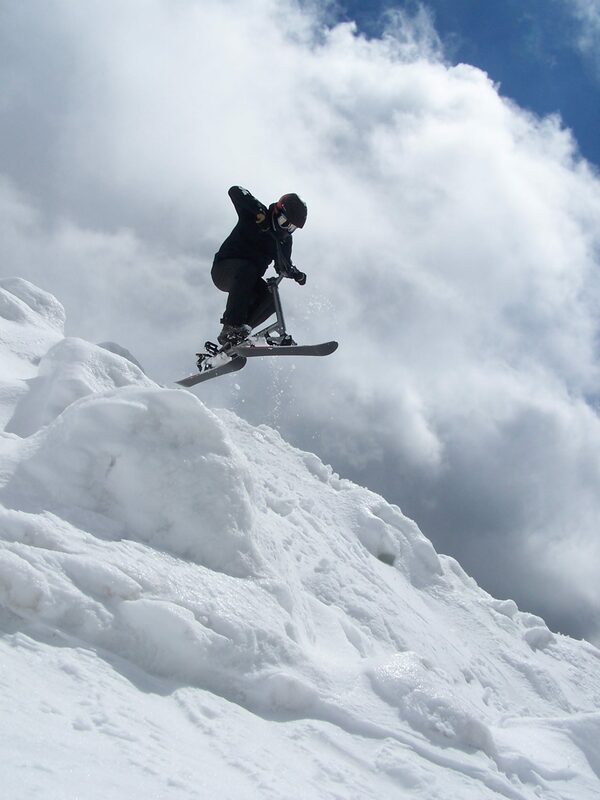 Smaller, lighter and prepared for all the tricks and jumps you want! Did anything caught your attetion?